Rob Gronkowski will miss the New England Patriots' trip to Soldier Field to face the Chicago Bears. 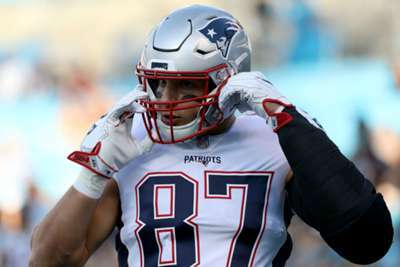 Gronkowski did not travel with the team to Chicago on Saturday, though the Patriots initially refused to rule him out. The tight end had a back injury pop up in practice this week and was listed as questionable heading into the Week 7 match. The four-time All-Pro selection dealt with an ankle injury in recent weeks, but had yet to miss a game — until now. He has 26 catches for 405 yards and a touchdown through six games this season.